From the resort’s entrance, all eyes are drawn east toward the striking array of colors that reach up to the clear Baja sky. 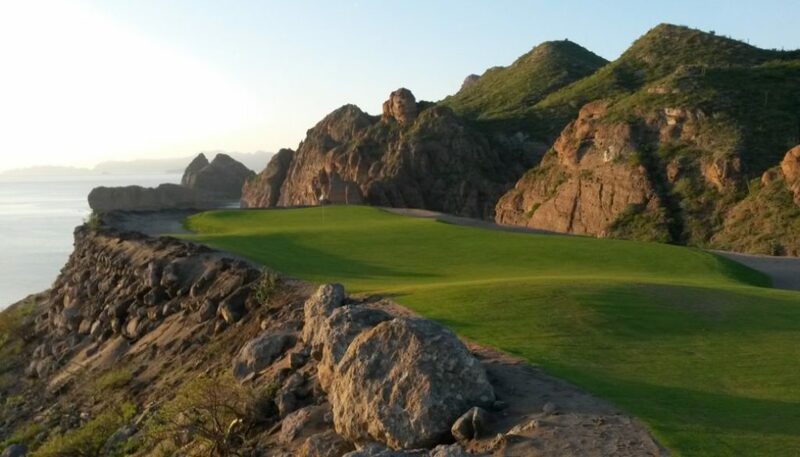 Danzante Bay’s lush-green paspalum tee boxes, fairways, and greens offer a dramatic contrast against the red mountains towering above the horizon. Danzante’s unspoken respect for your surroundings stretches as far as the eye can see. 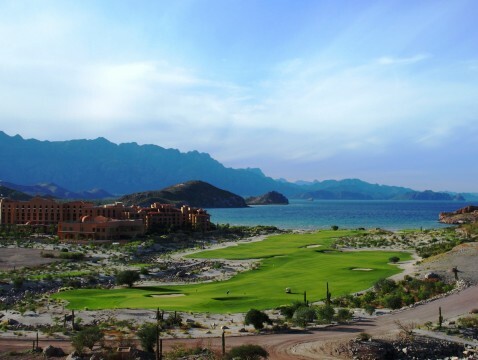 The Villa del Palmar Resort, and the Islands of Loreto, are set within a protected Marine Park. 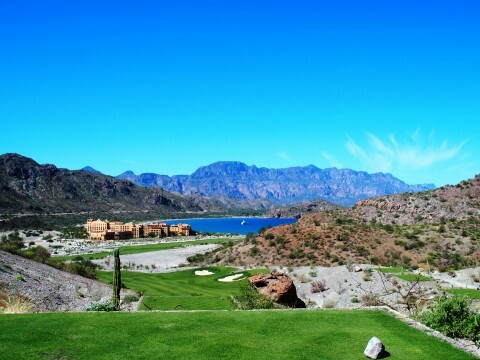 During the months of January through May, golfers witness whales migrating on the holes where the Sea of Cortez comes into play. 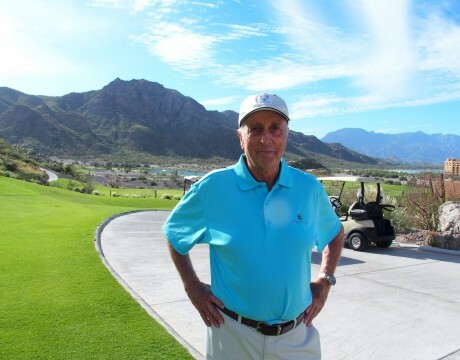 Owner Perry is so convinced that Jones’ design will catapult Danzante Bay into the annals of top golf courses in the world, home site construction has begun for an Italian Village-style community neighboring the final seven holes in the valley section of the course layout. Perry’s commitment to making Danzante Bay the best of the best is evident in the course completion timeline he prescribed to Jones. After three years of construction leading up to the opening of 11 golf holes, Jones commented that his timetable is fluid. “Owen told me to take as much time as necessary to build Danzante Bay. His only mandate is to get it right,” Jones said. The completion date for the remaining seven holes is November of 2017. For now, golfers who jumpstart Jones’ version of Ocean’s Eleven, or in this case, Ocean’s and Mountain’s Eleven, will hit an early jackpot. 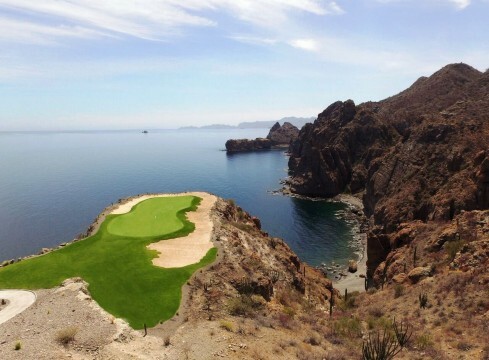 The buzz over Jones’ amazing 17th hole Par 3 has already stretched well beyond the Baja Peninsula. The presence of an Evel Knieval canyon-drop from the tee box to putting green is magnified by a Sea of Cortez presence that seems so close that it causes you to step back. Your golf view for the ages is further amplified by a massive shard of mountain jutting from the ocean on the right. If you’ve never danced in the desert, then Rees Jones, Owen Perry, and the Villa del Palmar Resort encourage you to salsa west. 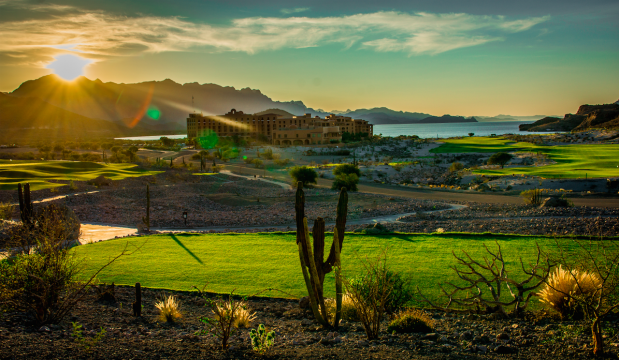 Whether your golf pedigree is stellar or you’re simply curious about Mexico’s next big golf thing, follow the buzz to Loreto. 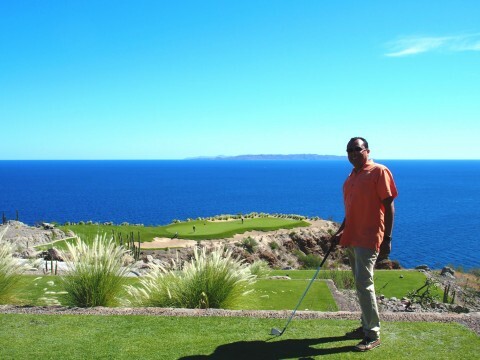 Ree Jones is eager to hear if your Danzante Bay golf experience makes you feel good all over. It’s amazing how great golf can be when “The Doctor” is listening.